Attention All WordPress Users: Everything You Need to Know About the Latest WordPress Version (WordPress 5.0) | Host.ie - Linux Hosting packages for all your Irish web hosting needs. After several weeks of anticipation, WordPress 5.0 is finally out with major changes in tow. One such change is the new block-based editor called Gutenberg. It replaces the old editor and comes with new functions to make editing and building easier. Gutenberg is the main focus of this version, but there are other notable updates to the platform. If you haven’t done so yet, should you upgrade to the latest WordPress version now? Take a look first at what it brings and then see if they can fit your current needs better than the old one. Read on to find out its new features and how they can help improve your experience with the platform. The purpose of this new editor is to make editing a little easier, although users will have to get used to it first. However, Gutenberg is more than a simple content editor – it’s a site builder as well. It takes advantage of several blocks to build a website or to write content. Of course, the block-based editor comes with blocks you can customise and move around. When creating content or building a website, you can add a block as you go. You have a block for adding images, videos, photo gallery, audio, cover image, quote, lists, buttons, or other web elements that were difficult to add in the previous version. Instead of figuring out how to add such elements to the old editor, only need to add the specific block for your need. Each block comes with its own toolbar and settings, too. You can customise each one as you please – change its width, colour, or other attributes. It’s easy to drag these blocks around, which means creating your own post layout is easy as well. You can do all these without typing a single code. If you use a certain format often, Gutenberg also allows you to “save” that format. You’ll then be able to reuse it in your succeeding posts. After editing a particular block, you only need to hit a button to turn it into a reusable block. After which, Gutenberg will ask you to name this block. When creating new content, you only need to hit another button to use that block with the saved settings. You can find it under the Add Blocks section. What makes reusable blocks genius is that you can make any changes to them at any point. These revisions will apply to all the content using the particular reusable block. You’ll be able to make sitewide revisions without having to edit each content. As we’ve mentioned, all other elements of a web page now come as a block. This includes widgets and whatnots. You can add, remove, or drag around one as you would an ordinary block. You’ll be able to add shortcodes, categories, archives, latest comments, and latest posts as blocks. As such, you’ll also be able to adjust the settings of each one. You can also then turn them into reusable blocks for use in later posts. This makes it easier to add widgets, but it also ensures you have a uniform look throughout your website. Similar to widgets, embeds are now easy to add as well as they now also come in blocks. Each social media embed is a block. This means you mix and match YouTube, Twitter, Facebook, and Instagram. You can also edit the settings as you wish. Of course, there are the other usual embeds, such as Flickr, videos, and more. You’ll still be able to add HTML codes, though, and Gutenberg makes it simpler. The new live HTML preview feature comes as a block. You’ll be able to insert custom HTML anywhere you want, and you’ll be able to preview it right there and then. You’ll only have to switch to the preview mode to see what your HTML will look like when published. The full-screen mode makes for a distraction-free editing experience. It hides the admin sidebar, allowing you to focus on the layout or the content. It also makes the screen roomier, so you should also be able to add a few extra features and widgets. The sidebar contains the post-editing features. You might not even need to use it until after writing the content. What happens to your old content if there’s a new editor? When you hit that edit button, you will see your old content in the classic editor block. This ensures you’ll still be able to edit it, but it will be inside the block. However, you can always break it into new blocks. This will allow you to utilise Gutenberg’s features in full. The new WordPress version’s other main focus is the Twenty Nineteen default theme. It’s created in a true modern fashion – with a minimalistic look and sophisticated typography. With a clean slate to start with, you’ll be able to maximise your creativity and create your own beautiful layout. Furthermore, it’s lightweight and versatile to use. You can use it as a base for your new professional website or blog. As you would expect, this theme is Gutenberg-ready and it has a ton of customisation options. It includes both front- and back-end styles. This allows you to have full control over the appearance of your posts. Gutenberg support for the other default themes, the Twenty Seventeen up until Twenty Ten, to be specific, are also coming in future updates. 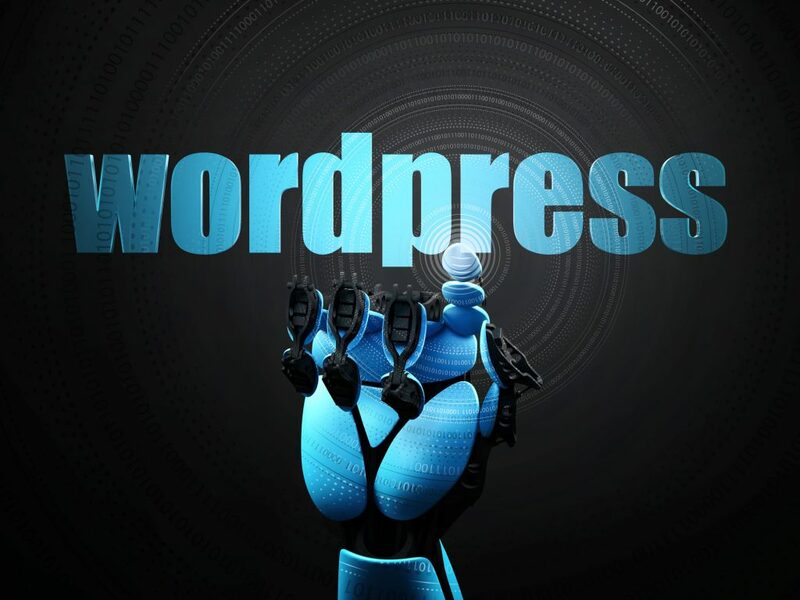 Apart from the main two features, WordPress comes with some changes you might not be able to perceive. This includes the usual security updates we’ve come to expect with every new version. Then we also have improved mobile optimisation. The team has focused on improving the mobile experience for every user. This is important as mobile traffic now take up half of the global internet traffic. The new WordPress theme is responsive, and so are the other default themes. If you use such themes, you can ensure you now have higher chances of getting into the top results, as Google favours mobile-responsive websites. The development team also added support for PHP 7.3. They built WP 5 to work on it because of the huge performance boost the platform can gain from it. The WordPress Rest API also have some improvements, though it’s more for developers. With these updates, developers will be able to create better products and applications. Should you decide that Gutenberg isn’t right for you, you can always go back to that familiar editor using a plugin. You install it like you would any other plugin. Once installed, the Classic Editor plugin will disable Gutenberg. This allows you to still enjoy WordPress 5.0 without its new editor. Should You Update to the Latest WordPress Version? The new WordPress came with huge improvements for the betterment of user experience. However, it might not be for everyone yet. For example, some plugins you use might not be compatible with WP 5 as of the moment. Yoast SEO, WPForms, and other essential WordPress plugins already work with it. Still, you may want to check first if all your plugins are the same. If stability is an issue for you, you may want to wait until a few patches have come out. Many updates on software are pretty unstable at first release. While WordPress 5.0 is already pretty usable, it’s no doubt going to be even more so in the coming weeks. If you do decide to update now, make sure to make a backup of your site. This is important, especially when your website is your business. Even better, use a staging environment to ensure the safety of your current website. As for the community’s reaction, there are those who enjoy the new offerings. On the other side of the coin, there are those that still don’t like it. Granted, the new editor will take some getting used to and the new theme might not be everyone’s cup of tea. This is why WordPress has the plugin for the old editor as it tries to bring more improvements to Gutenberg. Whether the changes that the latest WordPress version brought are beneficial or not, the truth is that it’s here to stay. There might still be things WordPress needs to improve for it to reach full functionality, but Gutenberg and the other updates look promising so far. These changes only aim to improve the user experience, but make sure you also aim to improve your website for your visitors. For your web hosting needs for your WordPress blog, take a look at our plans today and enjoy high-quality hosting services. If you have any questions, contact us now.